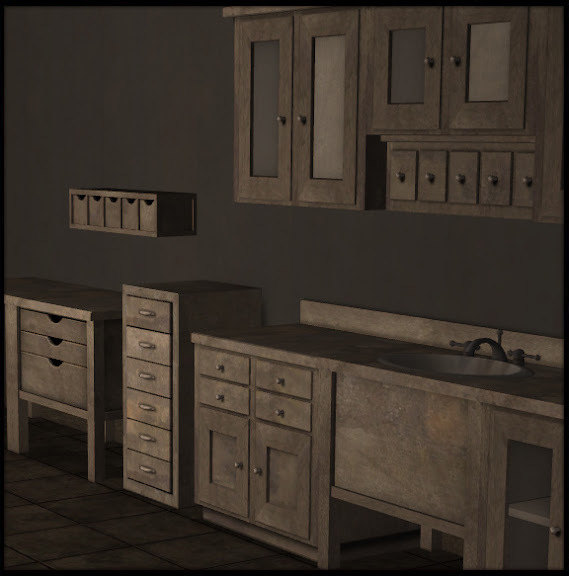 Buggy's retreat: Kitchen Basic Extras: lots of new goodies! Kitchen Basic Extras: lots of new goodies! 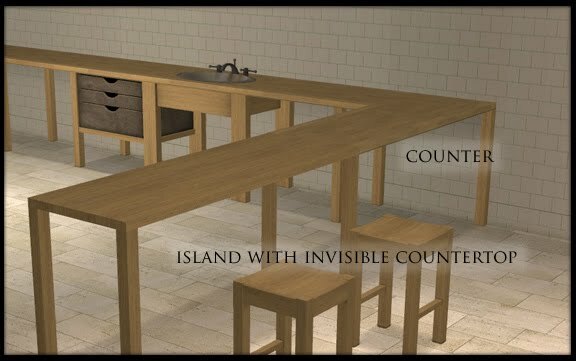 By request a simple counter and island set which should add quite a few possibilities to your existing kitchen set ups. 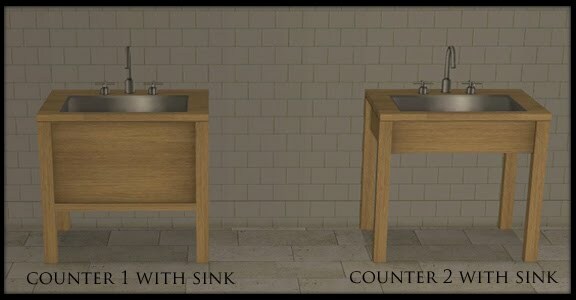 With the counter only countertop you can place these deco cabinets underneath to create even more options. They are invisible to sims so they will cook normally etc. There are two recolourable parts so by putting them under counter you get 3 recolouring options...fun hey? Point your cursor at the bottom of the cabinets to recolour or move once they are under the counter. Three wall units are included in the download. Thats it for now. I hope you enjoy this little lot! Wow, this is amazing! 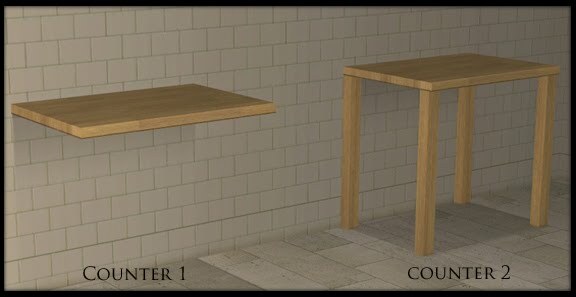 Just a question - have you made an updated collection file for the entire Kitchen Basic set? It'd be very useful, as there have been quite a few updates recently. Absolutely fantastic! My favorite set is even more fabulous with thses new pieces :) Thanks so much for sharing! Buggy, I think I love you!! Fantastic additions, thank you sooooo much! Just absolutely amazing installment to the kitchen series, thank you so so much for sharing your talent! I love your stuff!! Well done as always. =) Thank you. Wow! So much awesome! Thank you! WOW! Love it! Just when I say "not one more download to clutter up the downloads folder" and then you always create something I just MUST have! You just keep making this kitchen better and better. I really just love everything you add to it. Thank you so much. I love the new set, thank so ever so much for sharing! Thank you so much for your AWESOME work, we've loved it from the start and are so happy to see you still creating for the sims2. Adia, I have not updated the collection files yet but when I do I will post them. Anon, I don't get them anywhere, I make them. The floors are only recolours of in game ones and the walls are not ready to share. I love your stuff, and you're pretty great too! Spoiled rotten, that´s what we are! Gosh! I have the Kitchen Basic in half of my homes, but now it will be even more... In every house??? You're awesome! your work is amazing, you are a very talented person and we are all so lucky to have you making beautiful things for the sims 2. thankyou. Thank you very much! This last set is alot like I had requested at BPS, but was never commented about. Cant wait to try things out in game! Your work for the sims 2 still amazes me even with all of the updates for the sims 3, your stuff still proves to be at the top of the sims community. Thanks so much! I downloaded and installed the files, but in my game they come up like a light blue color like they are missing their recolor file or something. Did I do something wrong? How do i fix this? I haven't used any other kitchens for quite a while now, I just can't go past the Shakerlicious one. :)I guess now I'll never need or want another kitchen in my game. This is fantastic, I can't thank you enough Buggy. What might be the correct description for this work? Excellent, perfect, nice or wonderful? I think the correct word must be invented first before writing a statement here. Thank you so much! Wow, beautiful as always. Your creations are so detailed and you have so much talent, thank you for sharing with us. Excellent stuff! I now never use any other kitchens in my game at all, these are such so so good. Thank you! hai natalie, so if you want to recolor the undercabinets you have to recolor the kitchen basic cabinet(counter)? Great, awesome kitchen set btw :) !! 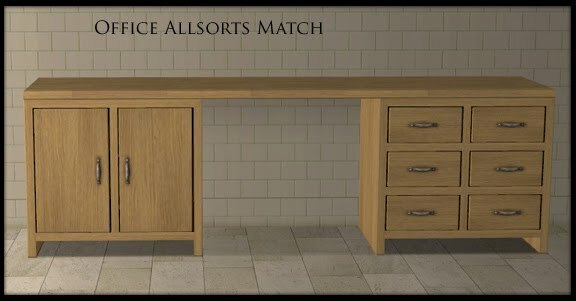 angelique, yes the kitchenbasic main counter recolours absolutely everything. Thank you so much, Buggy. Just came back to playing Sims 2 after a long break and was afraid no one would be making much for Sims 2 anymore. So happy you're still making beautiful objects. Yours have always been among my favourites! I don't understand why the objects are blue fluo in my game ??? ='( that so sad I love your kitchen. Hi Natalie! I love all your stuff, it's absolutely beautiful. I downloaded like everything from this site, and the basic kitchen and shakerlicious stuff aswell from MTS. They all look gorgeous in my game. I have one question though: when the counter becomes dirty, the countertop is just flashing blue; when a sim cleans it, it's fine again. Any idea what would cause this? I love these add-ons to the Kitchen Basic set, absolutely beautiful. 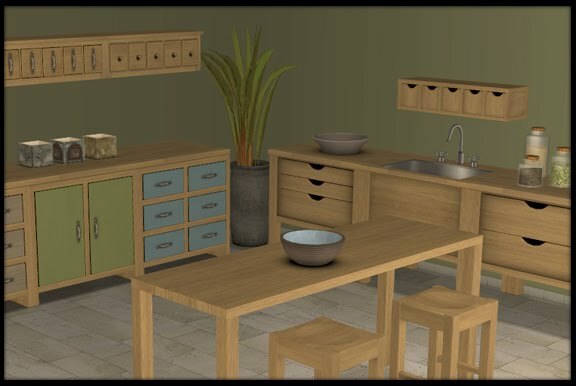 Like a couple of the others said some of the pieces do flash blue, even with the Kitchen Basic set in the game. 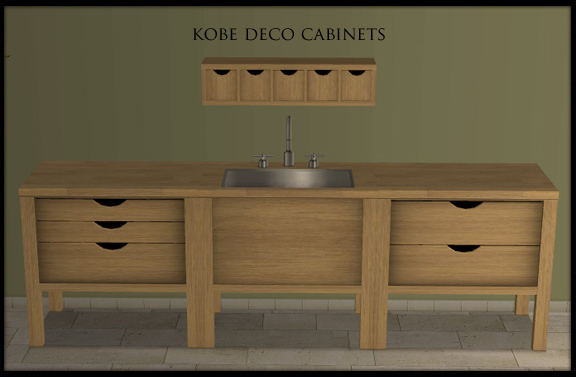 The Kobe cabinets seem to be tied into some other piece. I love your stuff, please keep creating for Sims 2! Alex, This is the first I have heard about it so I need to know which counter exactly is flashing blue in dirty state. The description will tell you in buy mode. I can then check to see if it is properly linked. FyrDragon, I think the Kobe cabinet may need the Shakerlicious counter for shading so go get that at MTS and that should solve it. 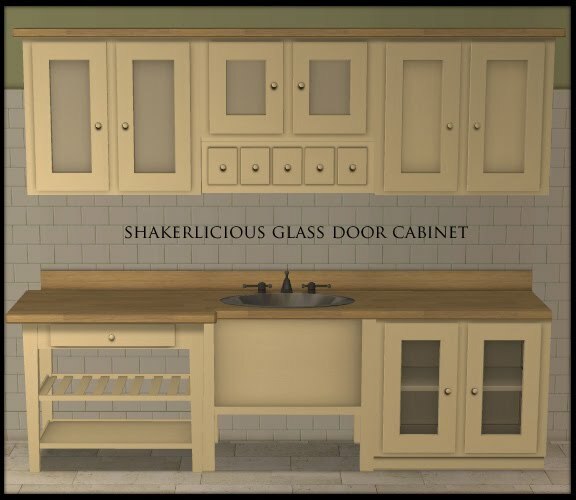 No, ShakerliciousKitchen_Counter 1 is not the other MASTER to Undercounterdeco Cabinets Kobe. All Kobe additions have 1 more MASTER: Kitchen Basic Extra Counter Only. Also means that anything they say can indeed be taken with a pinch of salt. Please no more of this kind of crap....thankyou. No, no one got back to me but now I have taken a look at the culprit and found the mistake. Okay, I've been playing with the updated file and so far no blue flashing. I'll let you know if it occurs again but as of now it seems you've fixed it. Thanks. The Basic and the Shakerlicious Set - so these two fantastic sets and Extras and all this amazing stuff which belongs to the sets are all a Sim need. No other kitchen-set in all the sims-universe can give soo much varieties and possibilities. It is high-time to leave a BIG BIG ENORMOUS BIG THANK YOU! Best site! This site is wonderful! You are very talented. You are the best and your generosity is unbelievable! I LUB you! Yes, LUB <3 lol Thank you for sharing! This kitchen set is amazing ... THANK YOU !!! I am one of your fans! Thank you very much! It's incredible! You are very talented, very good. Wow ... this is the kitchen of my dreams. Just looking at all the pics on MTS2 and here, honestly, it's something I'd love in my own home! Lucky Sims. Thanks for all your hard work on this. 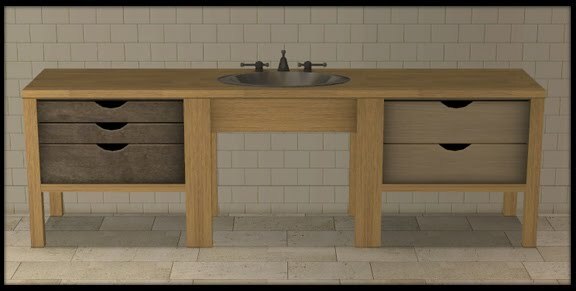 I've not said anything to you previously - but your kitchen sets are fabulous - once I discovered them, they became the only thing I ever used, which works out well for the type of houses I build! Anyway, you are incredibly talented and I just wanted to say thank you for all the hard work you've put forth to create stuff that's way better than anything Maxis/EA could give us! Buggy, you are a creative perfectionist and I truly admire your talent. Your work is spectacular in every way and I thoroughly enjoy it. Please don't get discouraged by those who refuse to follow instructions ( I read the entire MTS2 thread and the blue thing). I myself had the blue issue--just with the Kobe. I have both kitchen sets en toto. I "solved" by numbering the folders, kitchen sets first, these extra cabs last, then restarted the game. Twice. Kobe now fine and looks really good. I am on a mac, so not sure if that is a factor. Maybe this may help others. Grazie for all your fabulous work--makes me smile. You said it yourself--laziness. And there is no reason why it needs to be explained any further. Your time is better spent creating stupendous stuffies for us to play with... ;) Grazie bella. I am still awestruck by the sheer number of possible configurations that are possible here. Truly this was pure genius. Brava again! So beautiful !! Thankyou ! 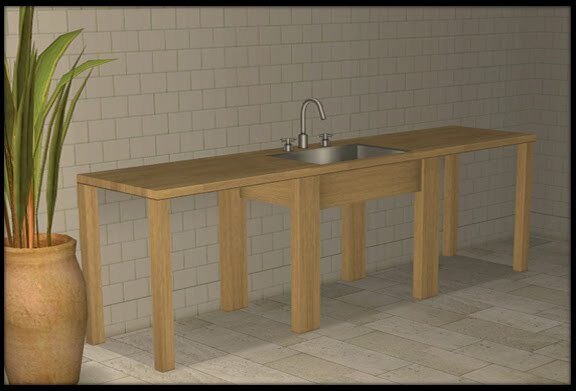 Would it ever be possible for you to upload the Basic kitchen and Shakerlicious set here? I'm having soo many problems trying to download them from MtS and I'd really love them back after I lost all my downloads! Err, I really don't know how to respond to this.... so it is best that I don't. Don't know if you are aware buggy but all of the kitchen basic downloads are no longer on MtS any more but if you are a aware why is this?? I can't download this for some reason. I can't download boxnet things anymore. Have no idea why. Can this download be made in mediafire perhaps?